First, enjoy a nostalgic train ride through the beautiful Wisconsin countryside aboard the Mid-Continent Railroad. 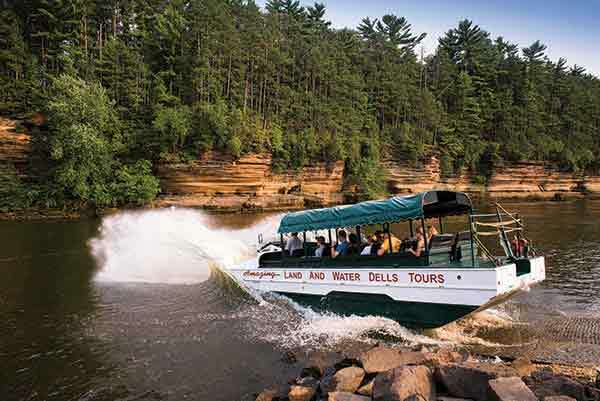 Next, we’ll go on an exciting Wisconsin Dells DUCK tour. These WWII vehicles navigate rough terrain and water with a lumbering ease. Lunch is included. Minimal walking. © Copyright 2016 - Able Trek Tours All Rights Reserved.